I’ve been asked on more than occasion how do I keep up with my blogging. So I’ll let you in on a little secret. I use Kanban. Now, you may find this hard to believe, but I find that Kanban can be used for almost anything. 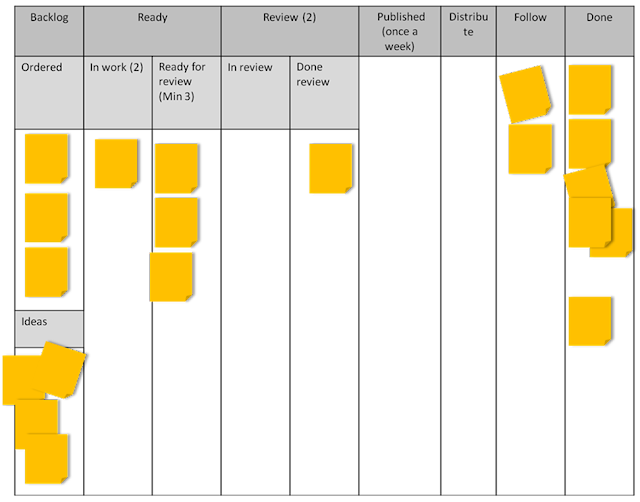 Kanban is a powerful tool, that helps you see what you need to get done, and how to control the load, both of which make sure that you get things done, and deliver value quickly. So how do you manage blogging with Kanban? Well, when we don’t have a lot to do, and you’ve got stuff to blog about, there’s usually no problem. But what happens when you want to become a professional blogger? You need to post far more consistently and of course, give your readers valuable content. 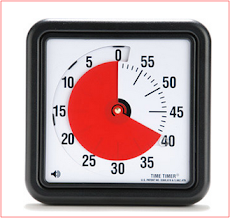 This makes managing your posts and your time a must, and you need to find your rhythm - You’ll find you are writing one post, while two others are already being distributed over the net. But how to manage that? Luckily, there are plenty of examples. Here’s one blogger who manages his time with Kanban. Now, he isn’t just a blogger. He’s got a family, a day job, and more. He needs to find the time and the place to try and fit a whole lot of things into his day. Well, with the Kanban mindset of "getting things done" it becomes ever so much easier. Take a look at the flow above again. ● It reflects the blogger’s workflow along with his special needs of publication and distribution. ● It answers his need to fit in time for his blog alongside his family, and his day job. ● It shows you short and constant time frames, allowing the blogger time to finish his posts and post them, and adjust to market changes and immediate needs. The guidelines (Policies) for this flow take into account the time line, the amount of writing needed, and market needs. As in this example, once you’ve visualized your flow, you can pick a card, and move it from ‘blog post idea’ to ‘blog post written’, or ‘blog post traffic’. 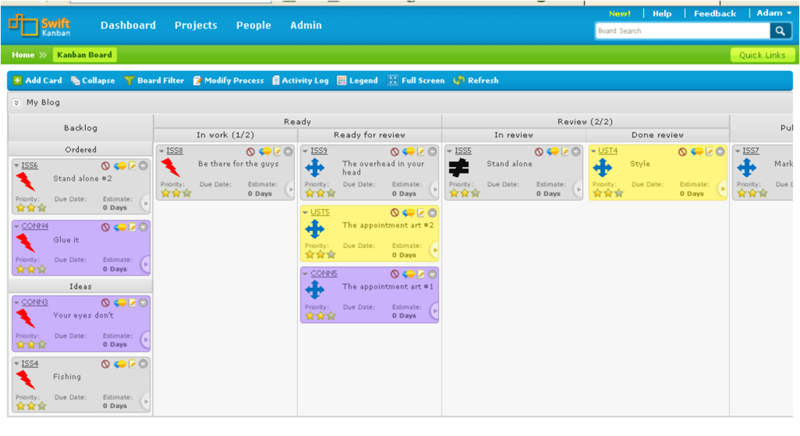 Just as any other Kanban board, you can see what’s going on, and spot bottlenecks and specific needs as they happen. As always, the backlog is your first step. This is where you put all your blog post ideas as soon as they pop up. You don’t need to prioritize them just yet if you don’t need to. You can set the top of the list in some kind of an importance order , just that you know what’s more or less important for you to get to later on in the process. The backlog consists of two activities. Being a professional blogger, he takes the time to research his blog posts, and talk to relevant people, join LinkedIn groups, find Tweets and so on. This way you can keep up to date with the latest news and developments. Blog post ideas don’t just come by themselves, so this is a fairly critical stage. Once you have an idea, write down a short description - ‘just enough’ to remember what you wanted to write about. Of course, looking at the flow, work and planning the post is a continuous effort. This stage just has a very high-level plan. Collect ideas, copy/paste some links and questions, but don’t get into details. This way you can quickly create a long list of ideas. This column fleshes out the ideas to posts of 600-1000 words (including images), each one taking a couple of hours to complete. In this case, our example blogger doesn’t have an ‘In Progress’ column’, and just places the ideas he elaborates on higher up the stack. Now, our blogger has decided to publish one post a week. But just in case he runs into problems and can’t write post for a bit, he has a backlog of 3-10 posts he’s already written. So the limitation of the ‘Ready’ column is at minimum three posts that he’s written - and those three are also ready for review. As you’ve decided to become a professional blogger, all your posts are reviewed by peers. So this column contains posts that are ready for review. Now, although there aren’t really limitations on the number of posts you can have here, real life experience tells us that your peers won’t review more than one or two posts a week. Now, as you want to post once a week, either have a ‘waiting for review’ section in your ‘Done’ Review column, or add a whole new column for this. By the way, the review column also includes corrections = actions that need to be taken. Once you’ve completed the blog and the review - then you can move the post to the ‘Done’ column. This is called a policy. a guideline that states when to move a card from one column to another. The actions you need to take to upload the post to your blog. Distribute the post according to your marketing plan. Analyze your results. Although this is more of an ‘action’, it’s still something you have to track for each post. If you want to improve, you have to know what works better in terms of places to publish and distribute, content that works better, effective blog titles and so on. Stay tuned for next week’s part #2 - How to apply this process to your own blog!